Some parties are just so epic, you can’t even describe them. And now, we can add Chrissy Teigen’s baby shower to that list of you-had-to-be-there moments. 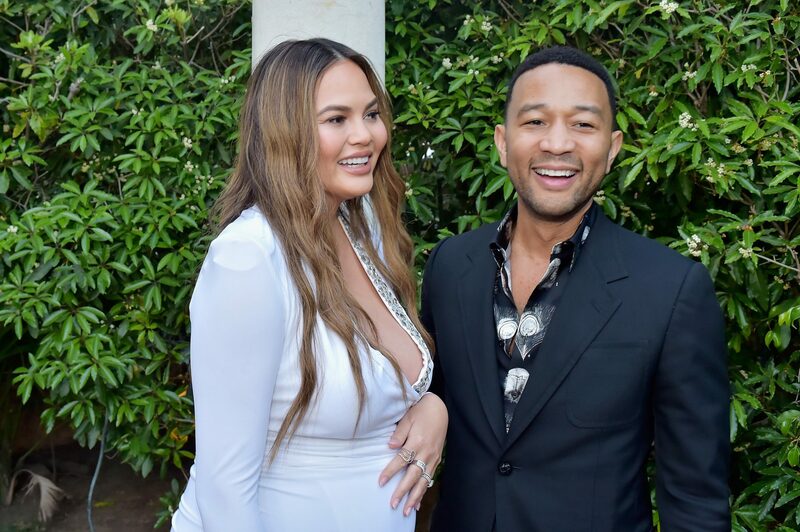 To say that this baby shower was legendary (her husband is John Legend, get it?) would be an understatement. While most showers typically involve silly games, homemade punch, and finger foods, this was *not* that type of party. Though our invite was sadly lost in the mail, it was all captured on Instagram — thanks to one famous guest in particular. “Can you guess whose baby shower it is tonight?” Kim Kardashian West teased on Instagram. 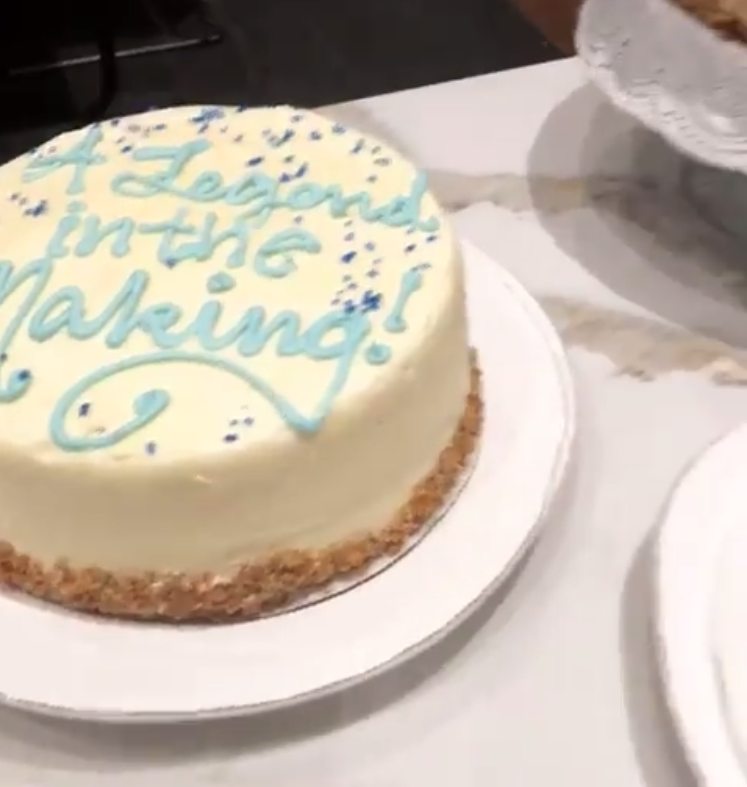 After seeing images of the most adorable cakes — decorated with puns like “A legend in the making, “Legendary” and “I am a legend” — it quickly became clear she was at the shower in celebration of Teigen’s baby boy, who’s expected to arrive in June. Even better? This was the second Teigen-Legend party in recent weeks, following Luna’s Sesame Street-themed birthday party. 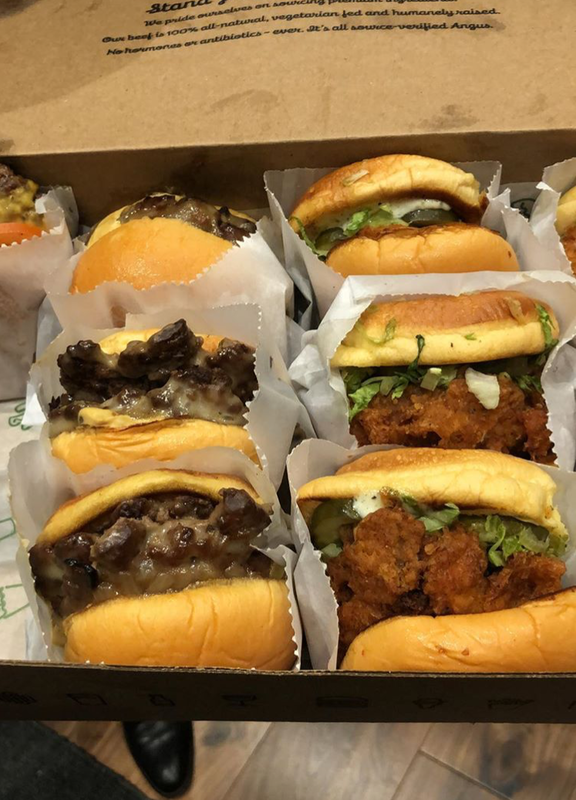 In addition to the yummy cakes, fast-food chain Shake Shack was on deck with shakes and burgers. The guest list was pretty fab, too. Besides Kardashian West, we also saw Kris Jenner and Kanye West in attendance. 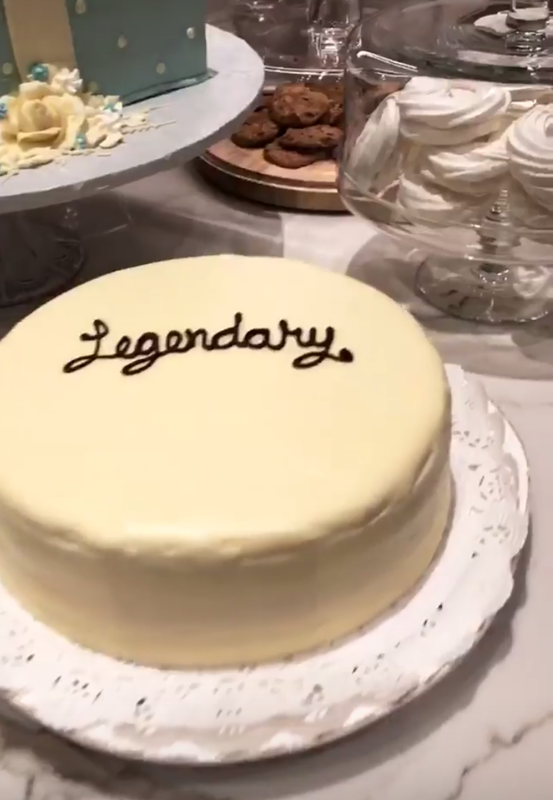 Yeah, there’s no doubt Chrissy Teigen’s baby shower was legen…wait for it…dary. With parents like Legend and Teigen — and big sister Luna, of course — this kid is already a legend in the making. The best precursor to those delicious-looking sweet treats? Shake Shack. The baby shower came a few days after Kanye West’s sudden return to Twitter. While Legend voiced disapproval for West’s recent support of President Donald Trump, that didn’t stop the friends from gathering to celebrate Teigen and Legend’s baby boy. During the Twitterstorm, Teigen and Kardashian even jokingly asked each other if they were still on for dinner Friday. We’re guessing the baby shower was the “dinner” they were talking about! At some point, Legend and West came together at the party to let bygones by bygones. What we wouldn’t give to be a fly on the wall during this event!